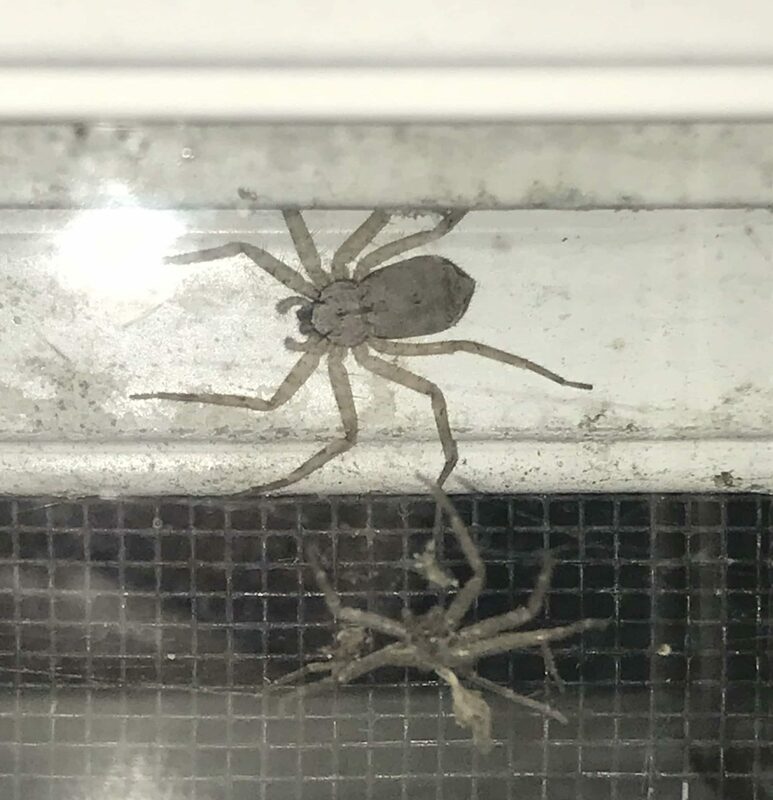 This spider has been living in my window between the glass and screen for a couple days now. There appears to be a smaller exoskeleton next to it. The spider in total is slightly larger than a quarter and the body (not including legs) is about the size of a pencil eraser. The body looks to be dark brown and the legs are tan with dark brown lines. It's not bothering me in any way, just wondering what it is since I've been watching it for a couple days.